Pursuant to GDPR requirements, customers have the right to request any details about them, that the e-shop owner may hold. If you received such request, Oberlo in conjunction with Shopify has a feature that helps you get all the customer's information that is stored in the Oberlo / Shopify database. Note: If you receive an access or portability request, you will first need to verify the identity of the requester (so that you do not inadvertently provide someone else your customer’s private personal information). 1. 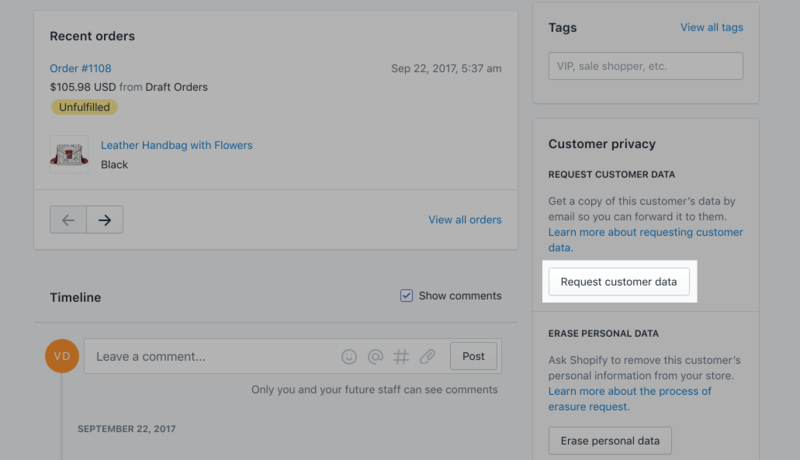 From your Shopify admin, click "Customers". 2. Click the name of the customer you want to request a log for. 3. Click "Request customer data". 4. From your Oberlo admin, go to the Oberlo "Settings" page. 5. 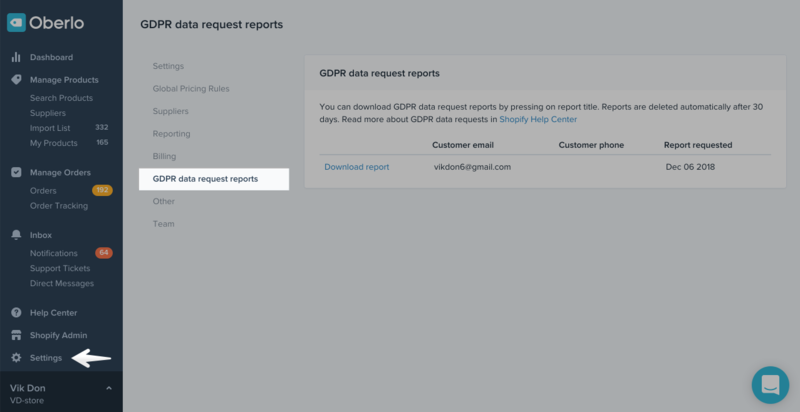 Navigate to the "GDPR data request reports" tab. 6. From the section "GDPR data request reports" click "Download report" next to the wanted customer email. The report will shortly appear on your device in a CSV format. Note: Reports are deleted automatically after 30 days.